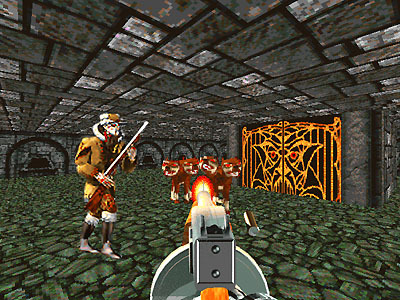 Strangely enough, but the PC and MAC boxes contain one screenshot of the 3DO version (tommygun gangsters) as well as a screenshot of the PC / MAC version outdoors in the daytime. 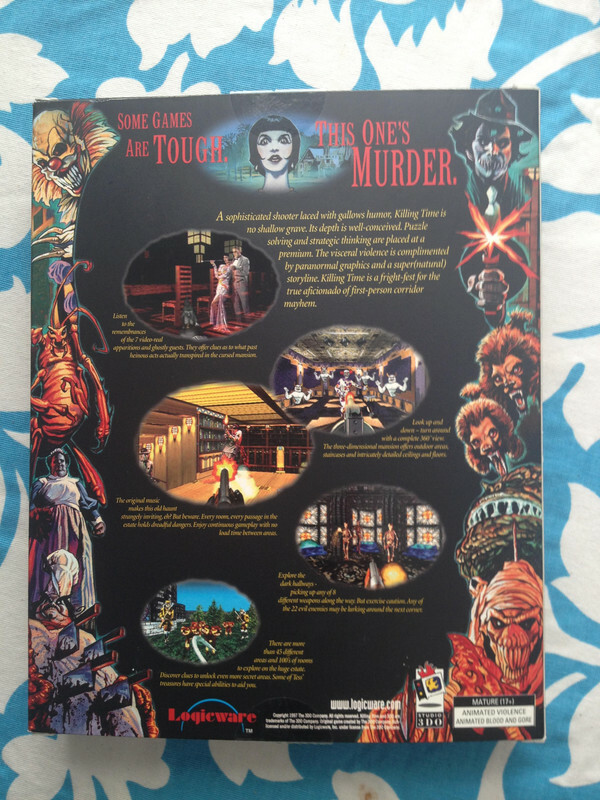 (a situation that never ocurred in the game) The tommygun screenshot is present on the back of the US long box and the JPN jewel case back insert. Another oddity is the screenshot of Tess and Duncan in the dining room. 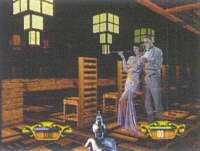 That is the 3DO version, but the gun has been changed from the 3DO pistol to the PC pistol. Clearly a photoshop and I have no idea why they were so lazy as to not obtain a new shot from the new version of the game. Once again it's the same screenshot that appears across all the releases, with a different HUD. 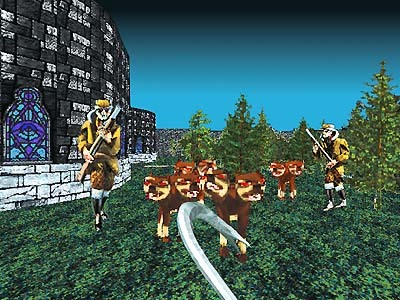 Perhaps it was an early screenshot of the game engine which they then superimposed a version of an early HUD. Who knows really? And that's it. That's everything I know about Killing Time. I have a rather large collection of games spanning the late 80's up to current day, but for some reason Killing Time has always kept my attention, so I've steadily been collecting everything I can find on it. And if anyone else has anything KT that I have not shown / talked about here, and you want to part with it, also let me know. Hope this has been entertaining! 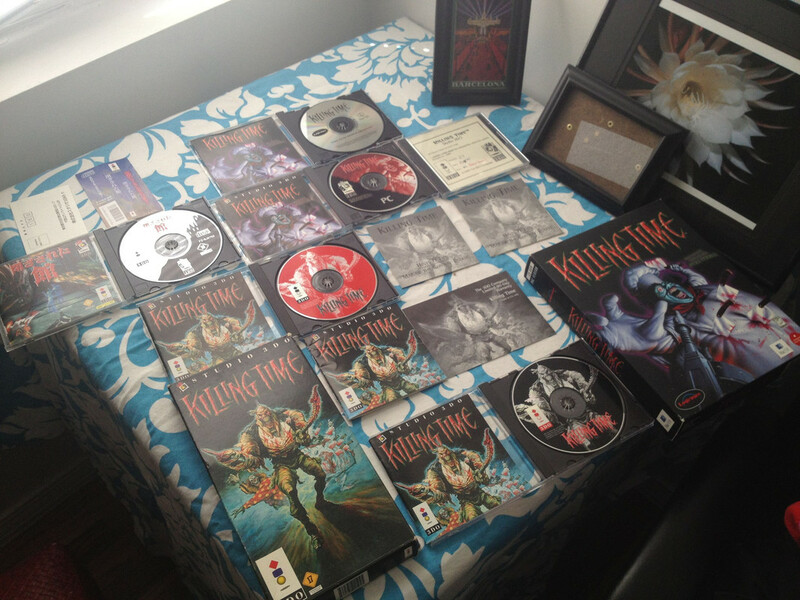 What is the item (jewel case) second picture down, top left corner of the picture? 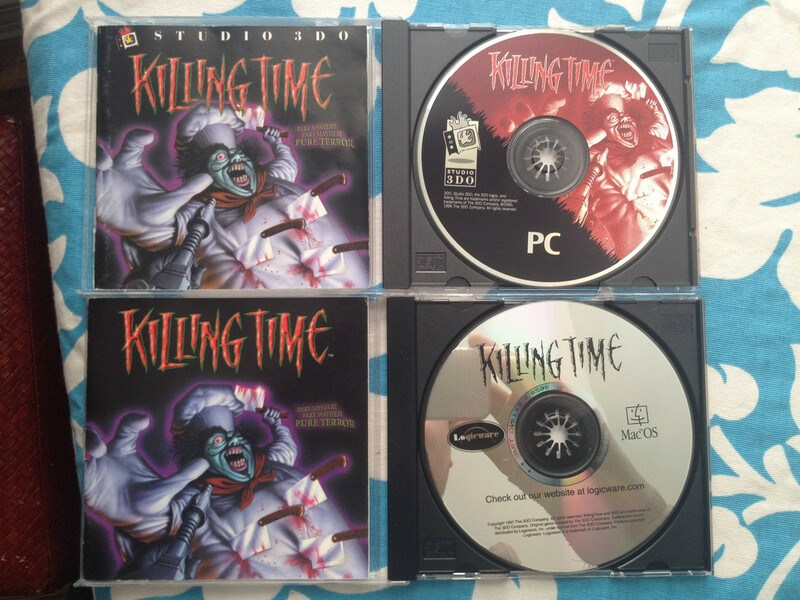 I can make out "Killing Time" and the 3DO and Studio 3DO logos, but not much else. I think I still have another beta version I was going to upload. I need to look through the disks again. Thanks for the post! 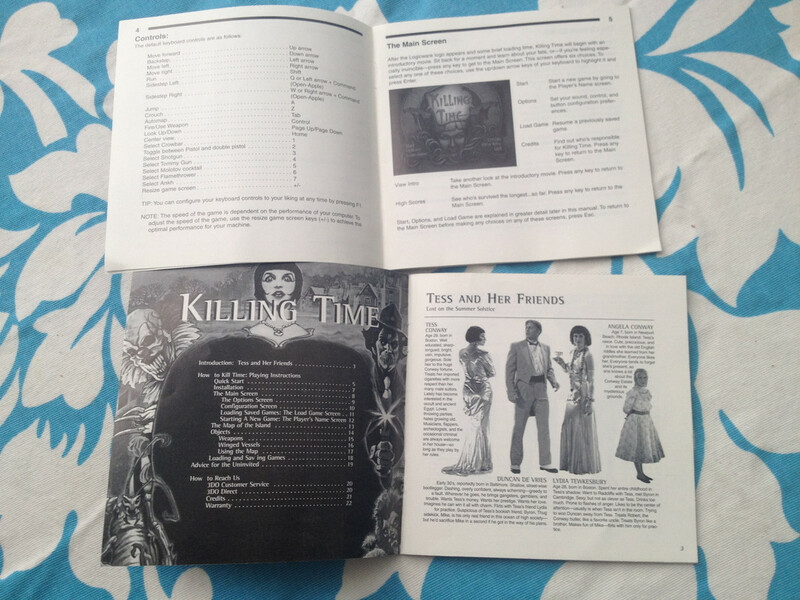 I'm a big fan of Killing Time, and this was the ultimate resource of various intriguing trivia. I had gotten a PC version at one point and discovered how freakishly different it was. 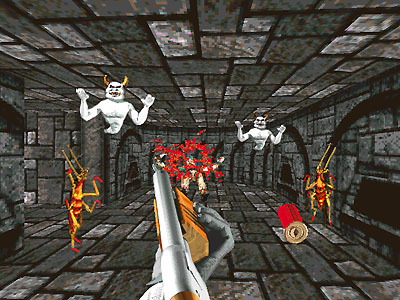 At the time I hated straight-up Doom clones (basically anything using the same engine with a different skin). So, I hated it. I didn't get very far past the docks. I never knew about the intended PS1 port. I wonder which version they would have gone with. Man, would be nice if those popped up on the US Ebay. I'd like to play the PC version again. My 2.7 was dated 8/28/95 and I know bitrate had a later one dated 10/5/95. I don't know if this came up already but here's some info on the SEGA Saturn & PlayStation versions. palgn.com.au: Can you tell us a little bit about the history of Torus Games? How the company began and what was the first title that Torus developed? Kevin McIntosh: Torus first began in April, 1994. It was formed by ex-Beam Software staff with a vision to create their own original title. 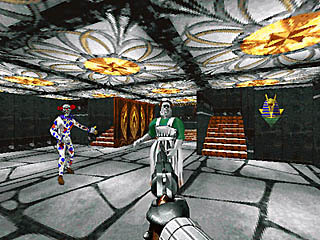 One of the first licensed titles Torus worked on was Lost Vikings and Stargate. 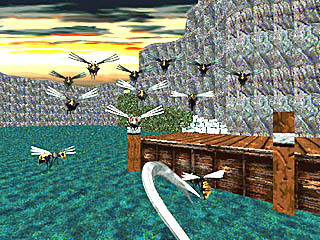 Torus then started to climb the ladder and worked with Acclaim on Killing Time for PS1 and Sega Saturn. Since then, the company has been going from strength to strength. We've created a balanced team with solid tools that allow designers more freedom to create fun instead of it resting in the programmer's hands. Some of the titles that we've developed over the years include Hello Kitty, Space Invaders, Carmageddon, Duke Nukem and Fantastic Four. 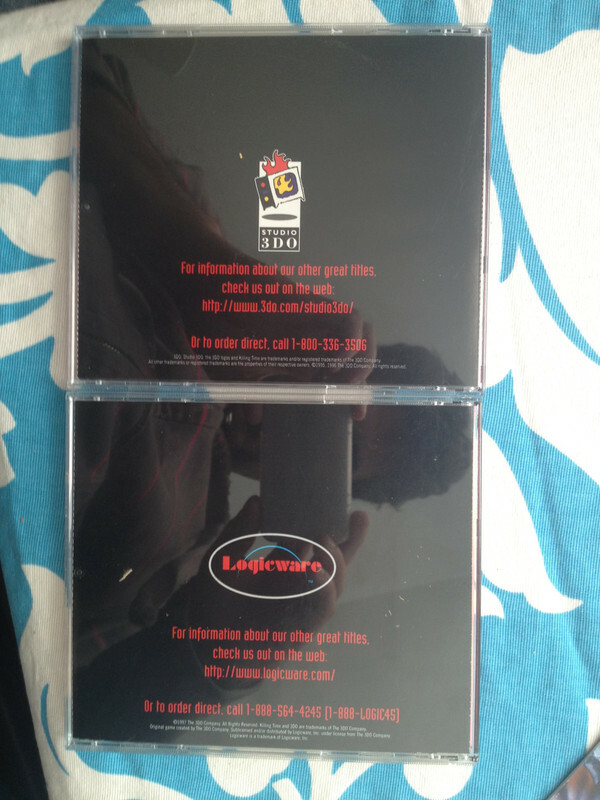 E3, LOS ANGELES--(BUSINESS WIRE)--May 13, 1996--Acclaim Entertainment, Inc. (NASDAQ : AKLM and The 3DO Company (NASDAQ: THDO) have announced they have entered into a multi-product license agreement in which Acclaim is bringing three of the world's most popular 3DO(R) titles to next-generation gaming systems for the first time ever. Beginning this summer, 3DO favorites Star Fighter(TM), Killing Time(TM) and BattleSport(TM) will be available for the Sony Playstation(TM) and Sega Saturn(TM). Additionally, BattleSport will be available for PC CD-ROM. Silentman wrote: JohnnyDude, check it out. Skirted leotard & black sude boots ... nice. Interesting stuff, awbacon! I like the faux screen shots... I still remember when my brother and I got The Throne of Chaos back in the day, and noted a screenshot on the back of the box which shows your party battling a Serpentis in a forest. In actuality, the only appearance of a Serpentis in the game is as one of the forms Scotia turns into if you keep battling her without using the unified Ruby and Shard of Truth, and said battle takes place in Castle Cimmeria. Those mixed-up Killing Time screenshots immediately brought that to mind. Just checked it out man. You must love this game. 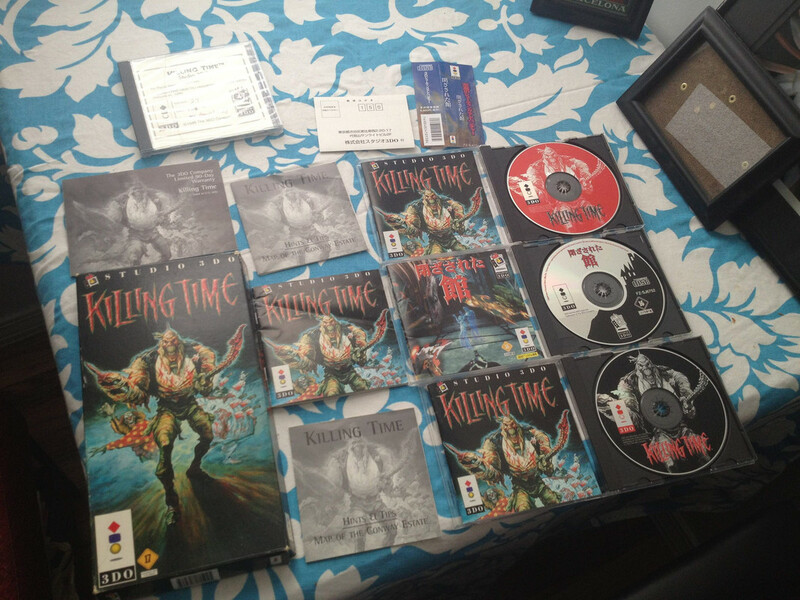 I like Killing Time but not sure I would be able to crab a collection that awesome of the game. Very cool stuff here man! 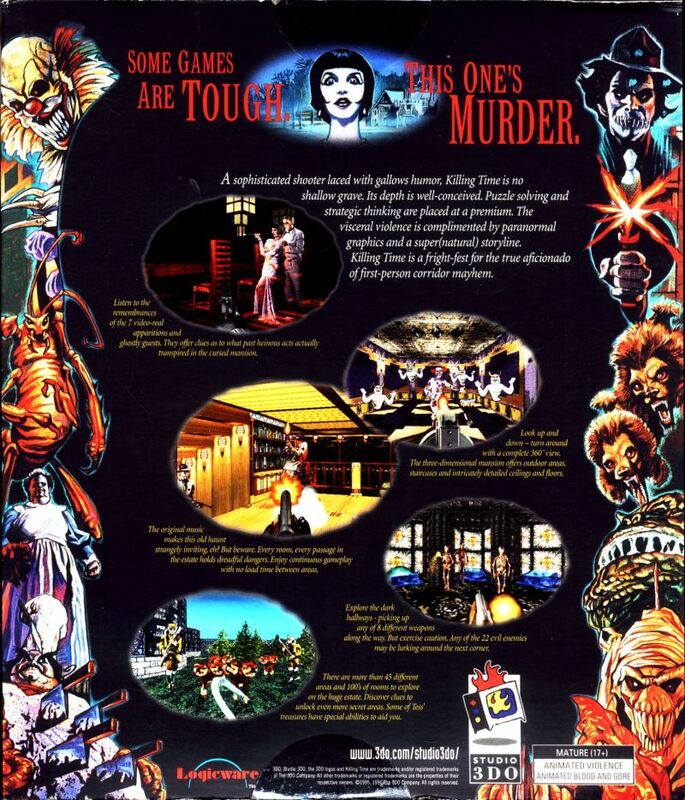 That poster for the Saturn/PSX version is wicked. I'd love to get one! Wicked collection, man -- I didn't even know there was a Japanese version. And yeah, Studio 3DO made a somewhat regular habit of using fake screenshots (see also: Blade Force). I linked to this thread on my Killing Time fan site. Hope you're cool with that! I remember looking for sites I found way back in the day but since I used webcrawler for some they might never be found again. 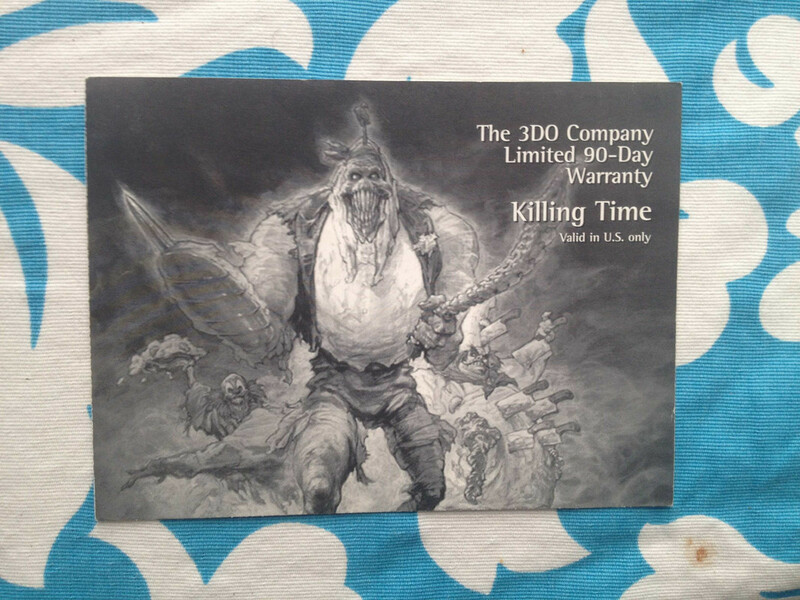 Look for the demo disc that has a few of Killing Time's concept art shots and original name "Time 2 Die". There is a stand alone disc, and a video version on a multi-game demo. 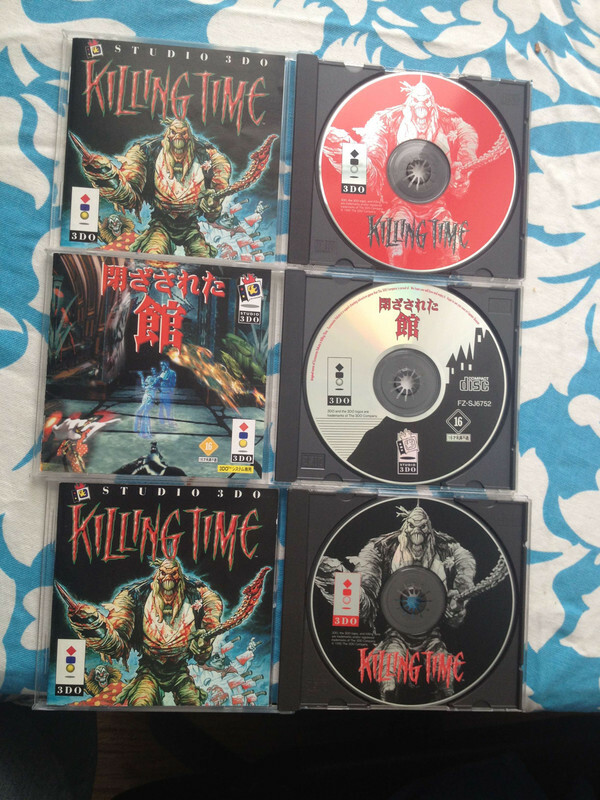 Do you know which discs? Screenshots or names would help. Thanks! Ownership of Killing Time rights? 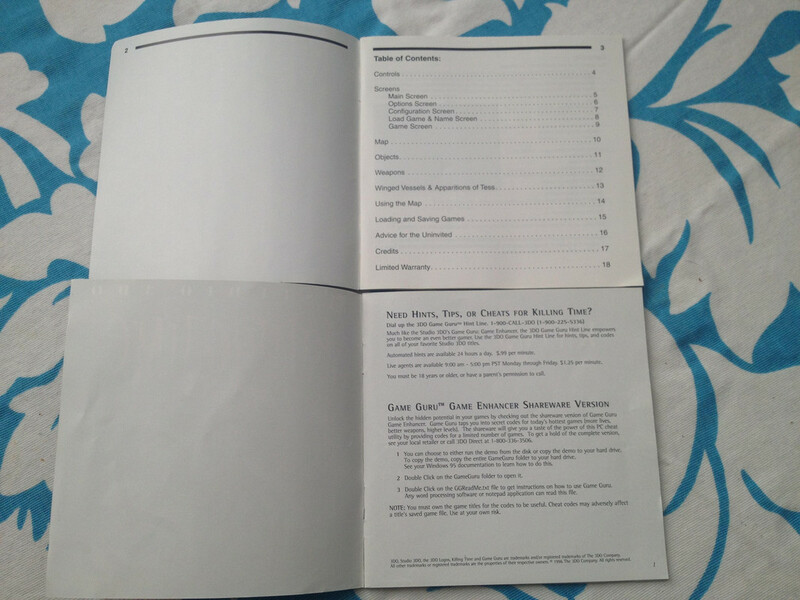 I am the programmer and owner of the code that made Killing Time for the PC and Mac. I've asked Trip if he owned the rights to Killing Time and he told me he didn't. 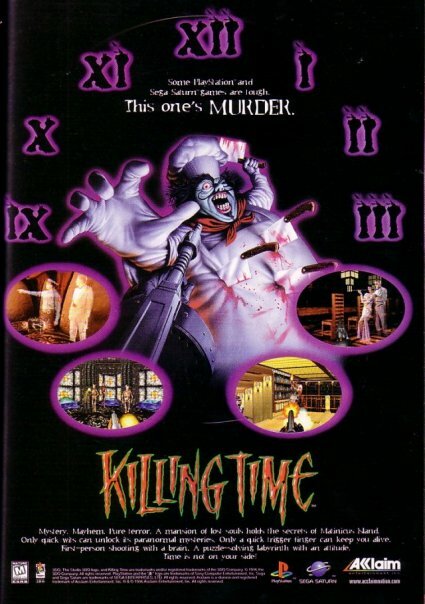 Does anyone know what happened to the rights to Killing Time? We seem to be getting quite a bit more industry people lately. I'm glad to see you've joined as well. Someone here might know the answer to your question. Could you maybe give us a pic of the longbox backside? Would be interesting - Thx! I have Killing Time for PC, but I can't get it to run on my laptop, which has the Windows 7 operating system installed. Has anyone got any ideas to allow me to get it running without any funny colours or crashing on the Windows 7 operating system without me having to go back to Windows XP to play it, please? 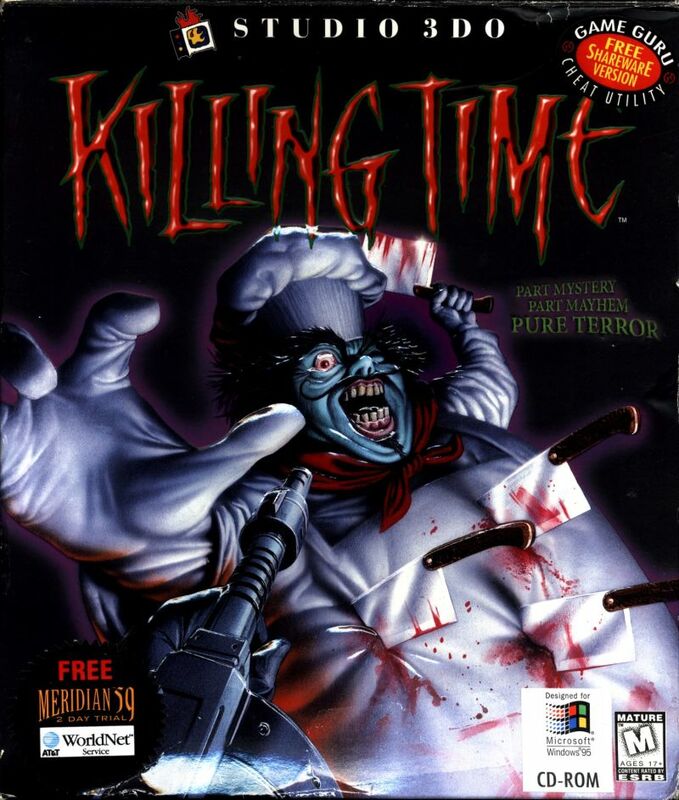 Any help would be much appreciated as Killing Time is one of my favourite games of all time! There probably isn't any way to get it working right without either running it on the OS it was intended, or loading up a virtual box. Windows '95 and '98 games run in Windows 7 is really hit or miss. Don't expect them to work, but it's really nice when they do (Addiction Pinball is one that runs perfectly for me in Win 7.. while many other late '90s games do not). Austin wrote: There probably isn't any way to get it working right without either running it on the OS it was intended, or loading up a virtual box. Windows '95 and '98 games run in Windows 7 is really hit or miss. Don't expect them to work, but it's really nice when they do (Addiction Pinball is one that runs perfectly for me in Win 7.. while many other late '90s games do not). I have found advice from someone on the internet that has got Killing Time working perfectly on the Windows 7 64 bit operating system with an Nvidia graphics card. If anyone else would like to check it out at http://vogons.zetafleet.com/viewtopic.p ... e616865a2b and let us all know how it works out for them, whether it is for that operating system and graphics card or otherwise, then it would be great to see if people can get it working and how far the boundary of this can be pushed to other operating systems and graphics cards. I didn't realize there was such an interest in this game! 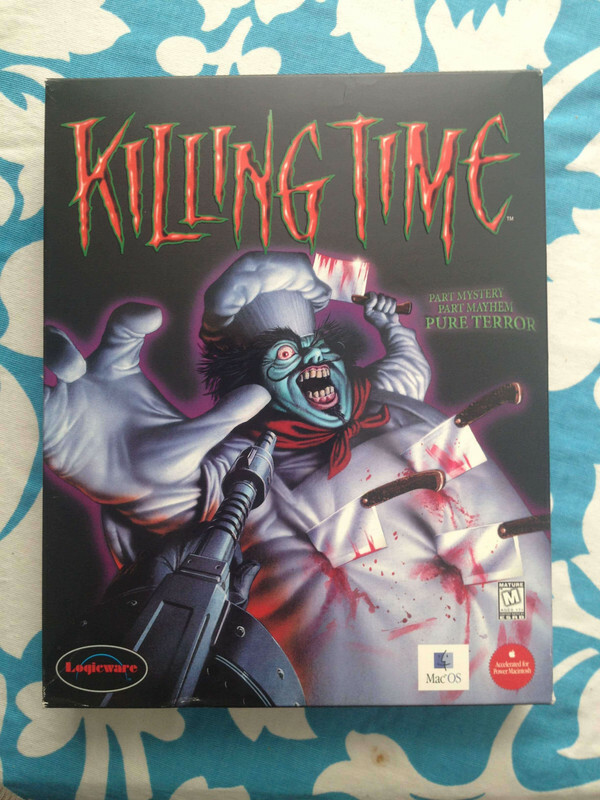 I was one of the programmers on the PC (and also Mac) versions of the Killing Time remake. I wasn't the main engine programmer nor the level designer, but now that the fan site is asking them for interviews too, it could get more interesting. Great to have you aboard, I've seen that site before and it's good to know they are still adding info. I'll definitely have to read your interview. Since you worked on the PC version you might want to look ten posts up as "Burger" is trying to find out who owns the rights to that version, even if you don't know you might know someone who does.